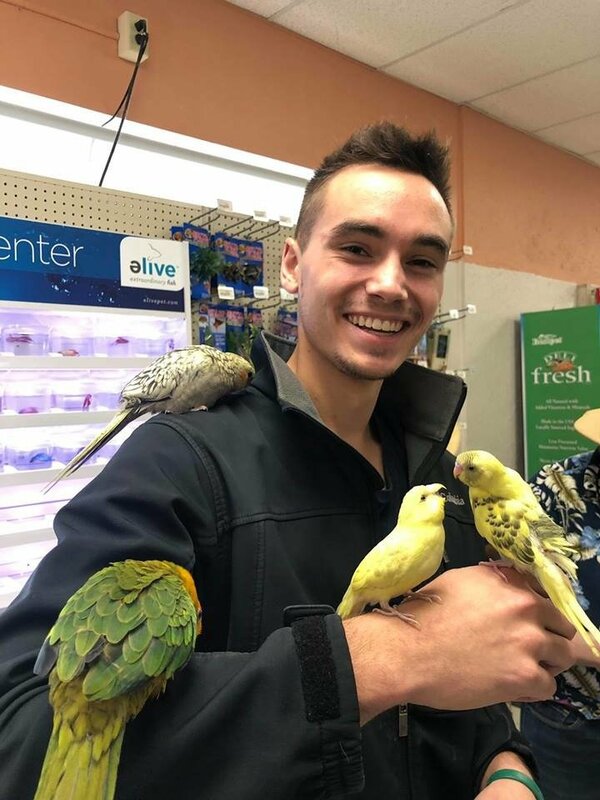 I have been living in Hawaii for two years now, and I have gotta say that there is no better time to be there than during the holiday season. There's always a ton of activities going on in Honolulu, and it is a great place to experience with your family. In Honolulu, at city hall, there is a month-long Christmas lights display. 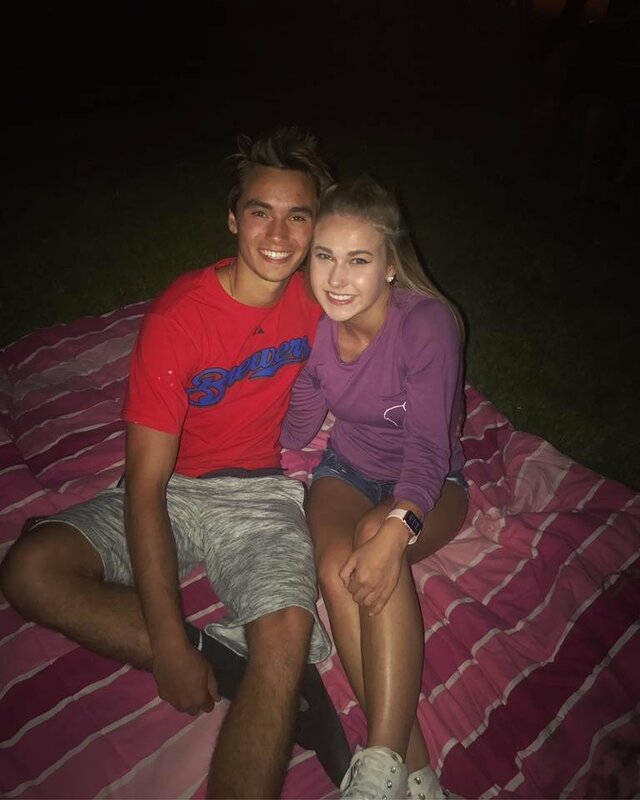 In addition to the lights, there are also events going on throughout the month, like movie nights, food trucks, and block parties. 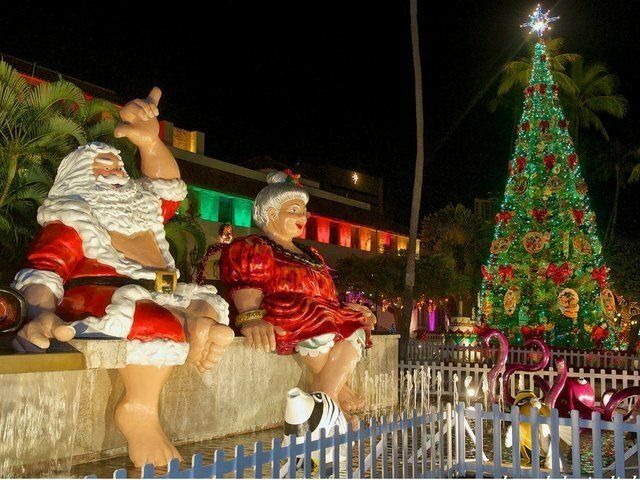 One of the most popular things to see, though, is Shaka Santa and Mrs. Claus, where they are dressed in casual Hawaiian clothing and Santa is throwing up a shaka sign to greet visitors. 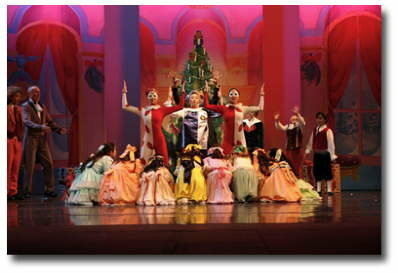 The Ballet Hawaii has an annual performance of The Nutcracker at the Blaisdell Concert Hall. 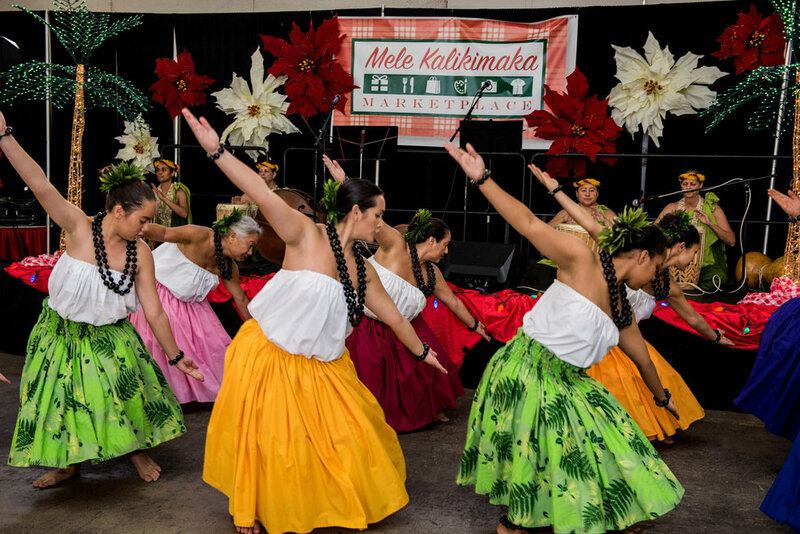 As a fun twist to the classic Christmas performance, this version of The Nutcracker is set in the Kingdom of Hawaii in the 19th century, and while it still tells the same story as the traditional Nutcracker, there is now the inclusion of Hawaiian flowers and animals. 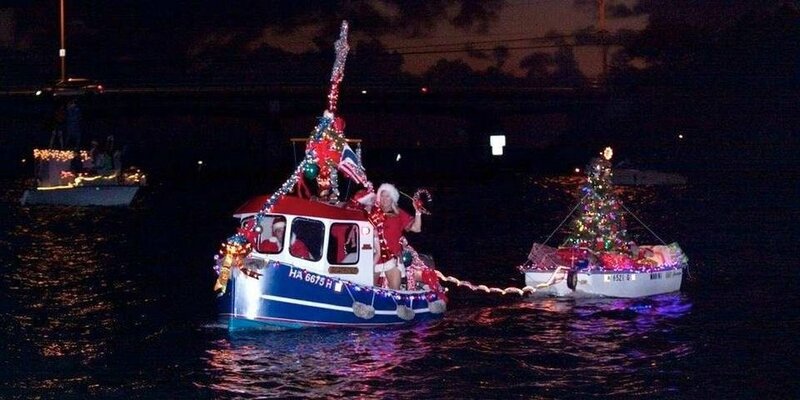 In the middle of December, there is a lively boat parade in Hawaii Kai. 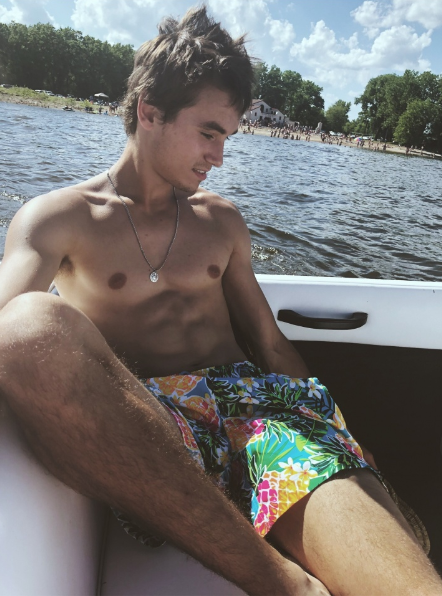 There is a series of boats that pass by, fully decorated for the holiday season and a live performance by the U.S. Air Force Band Pacific. This was one of my favorite events I attended in Honolulu this year. 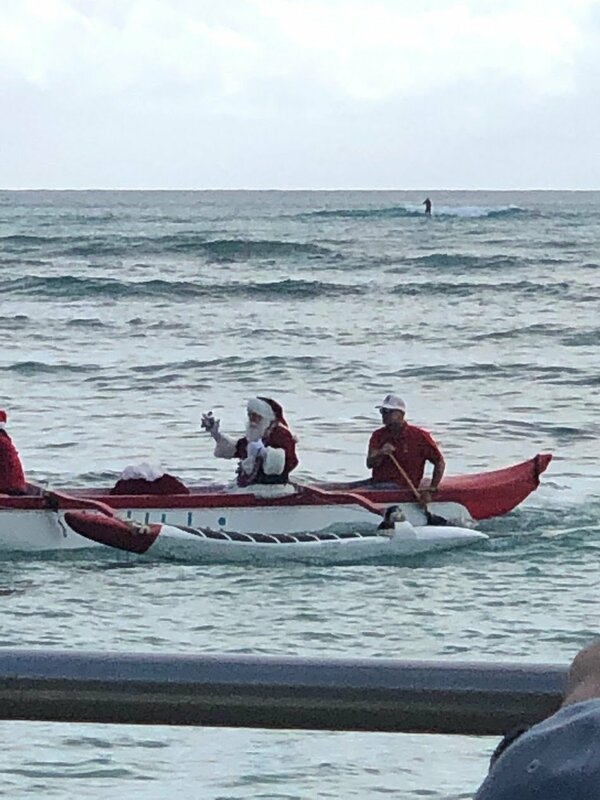 Santa, with two of elves, paddles up to beach in Waikiki in a canoe and takes pictures with kids and hands out candy. In the Blaisdell Expo Hall, there is an annual Christmas market. There are tons of vendors for food, crafts, clothing, etc. There is also a place to take pictures and a lot of fun activities for kids.